Manufacturers of purpose made joinery specializing in arches, doors, door frames, folding units, sliding units and windows, balustrades, counters and Balau decking. Keegans Joinery is family owned company that was established in January 2005 and has been based in 34 Downie Crescent Queensmead Industrial Park Durban since August 2006. Keegans Joinery is the newest and most innovative door manufacturers in the industry today. We have moved away from the conservative style of joinery and manufacturing not just what is in the catalogue but taken joinery to a new level of manufacturing and giving the customer anything or any design that is possible out of meranti or any exotic timbers. If it’s designed to be made out of wood we can make it. We can make any door out of any timber. (The standard is meranti). Our timber is Kiln Dried and treated. Keegans Joinery for the best quality and service. Keegans Joinery manufactures custom & standard upmarket solid wooden Pivot doors, windows, frames, Folding Sliding units, Sliding Units, skirting, architraves Balustrades. Our latest project that we have excelled in is balau decking where we supply & install with precision & quality like no other. We install a base & then lay our slats and finish with an oil based sealant for high quality & classy finish. Keegans Joinery has thrived where all other manufacturers have failed and that is in never turning a customer away and through this we have attained a 100% completion rate accompanied by numerous referrals. Our Staff are highly skilled and have all been in the timber industry for over 10 years. Rodger Kisten who was the production planning manager of Kaydee office furniture for over 15 years captains our ship as director together with our factory manager Colin Kisten who has been trained under him since being a supervisor at Kaydee Office Furniture coming from an apprentice at Peach & Hatton. Together they have over 40 years of experience & knowledge in the timber industry and joining them in marketing & management is Nolan (marketing exec/b.comm) & Marlin (Internal sales & admin) forming a growing force in this industry. Our prices are highly competitive and our quality is immeasurable. Our quotes are returned within 48 hours or sooner if requested. Our delay time is 10-15 working days or quicker if the job is urgent. Our goal is to become a strong & dominant name in the construction industry as we have grown from a company that started with manufacturing for small projects to completing larger projects with complete project management in the allotted timeframe for Durbans biggest concerns. We aim to satisfy every client that purchases from us and for us to be not only a supplier to them but also play an advisory role in their projects and help wherever possible thus forming a relationship that no other supplier can match. 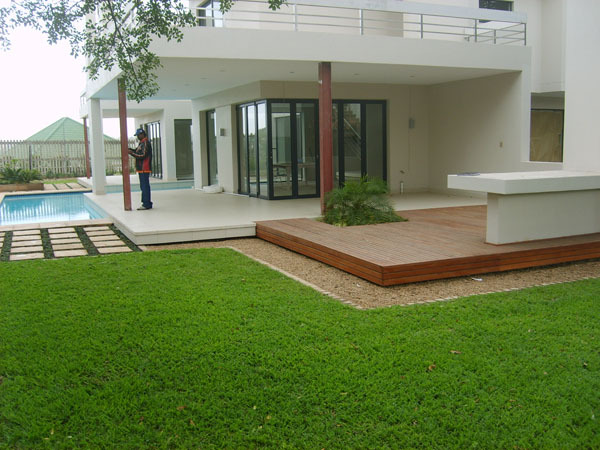 As times are changing clients get builders to only do a superstructure and the finishes are taken care of personally and all professionals and the Durban elite such as doctors, attorneys, trucking company owners, Chartered accountants and the upmarket property developers come to Keegans Joinery for the best quality and service.